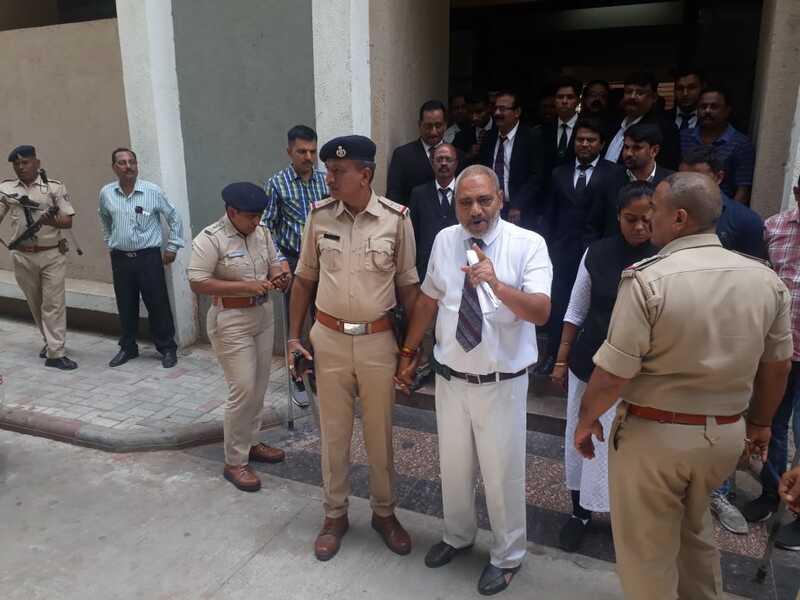 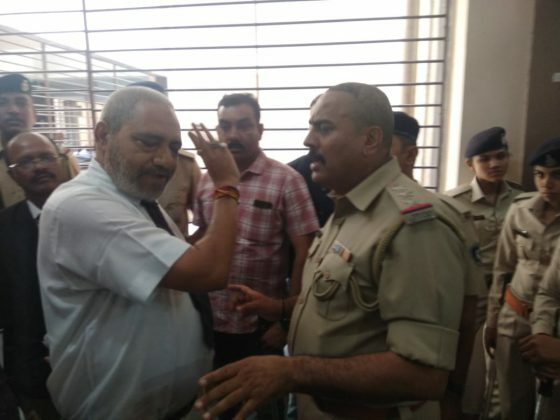 Vadodara police detained Vadodara Bar Association president Hasmukh Bhatt for trying to place the tables inside the premises against the court order. On Friday the advocates violate the High court order and place the furniture inside the premises. 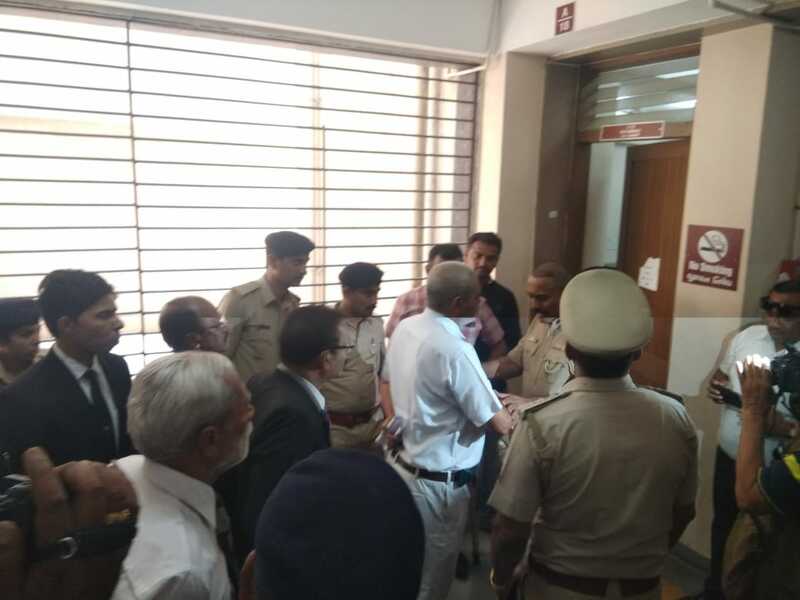 As per High Court order advocates of Vadodara are not allowed table space in the lobby of new court building. 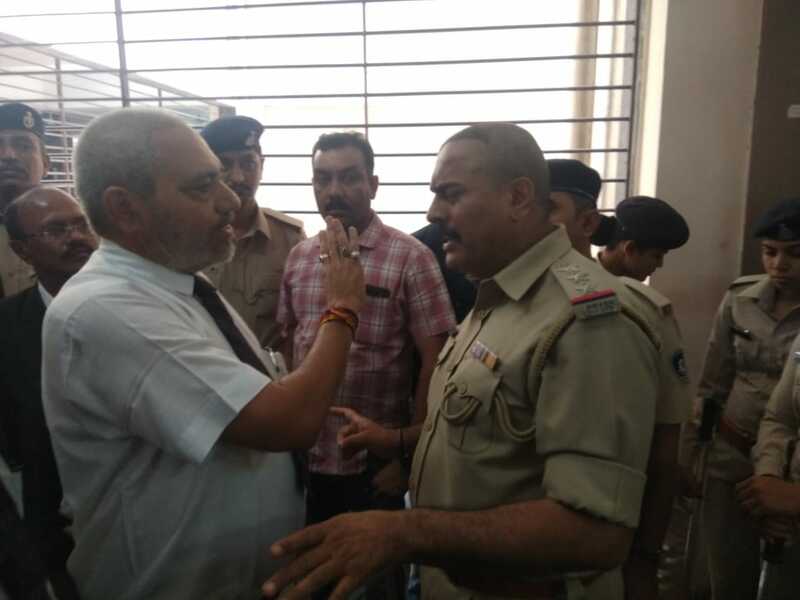 They are fighting for the same from the day one but nothing happened till date. 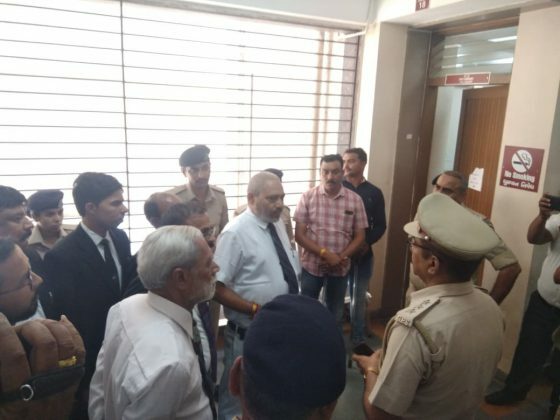 They demand separate room for them but the court denied and with no options left they violated the court order and put tables by their own in the lobby. 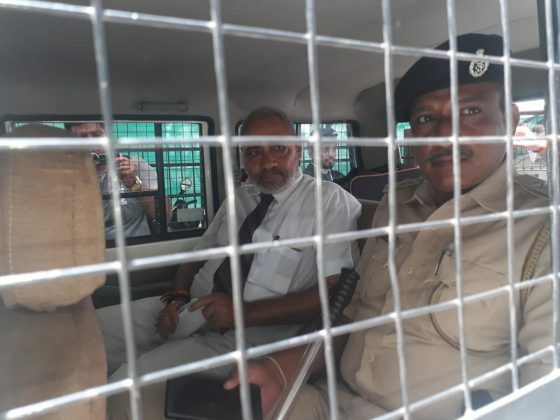 On Friday they put five such furniture there but later the district court removed it with the help of police. To avoid the incident heavy police deployment was there inside the court on Monday. 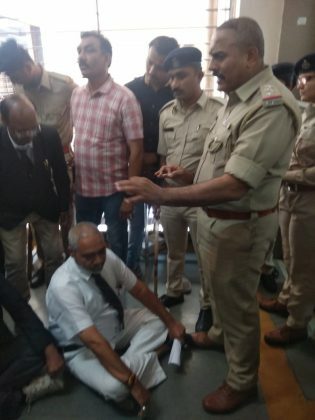 However the advocates tried to place the furniture and police detained BAR president Hasmukh Patel from the spot. A emergency meeting is called by the association to decide the future course of action in the matter.